The FBI was given a week to probe allegations of sexual misconduct against the Supreme Court nominee, but sources say the agency could finish early. WASHINGTON — The FBI could wrap up its supplemental background investigation into Supreme Court nominee Brett Kavanaugh as early as Tuesday night, two sources familiar with the matter told NBC News. The news comes after two sources told NBC News earlier Tuesday that the FBI has not returned calls from lawyers for Dr. Christine Blasey Ford. The sources also said she is not included in the bureau's current list of potential witnesses to interview. The Wall Street Journal and The New York Times were the first to report that the FBI, which was given a week to look into sexual misconduct allegations against the nominee, including Ford's allegation of sexual assault, could wrap up its probe several days ahead of schedule. Senate Majority Leader Mitch McConnell, R-Ky., vowed Tuesday that the Senate would vote on Kavanaugh's nomination this week. Ford has accused Kavanaugh of attempting to remove her clothes and stifling her screams at a party when they were both in high school in the early 1980s. Ford's attorneys sent a sharply-worded letter to the FBI Tuesday afternoon expressing dismay over the reports that the agency wasn't planning to interview their client. The lawyers, Michael Bromwich and Debra Katz, wrote that they've heard nothing from the FBI after sending a "series of emails and letters in which we identified witnesses and evidence that would likely assist" the investigation. "It is inconceivable that the FBI could conduct a thorough investigation of Dr. Ford’s allegations without interviewing her, Judge Kavanaugh, or the witnesses we have identified in our letters to you," the lawyers added in the letter. The White House, according to a source familiar with the matter, believes Ford's public testimony to the Senate Judiciary Committee was sufficient and the FBI would be wasting its time speaking to her again about allegations of sexual assault against Kavanaugh. 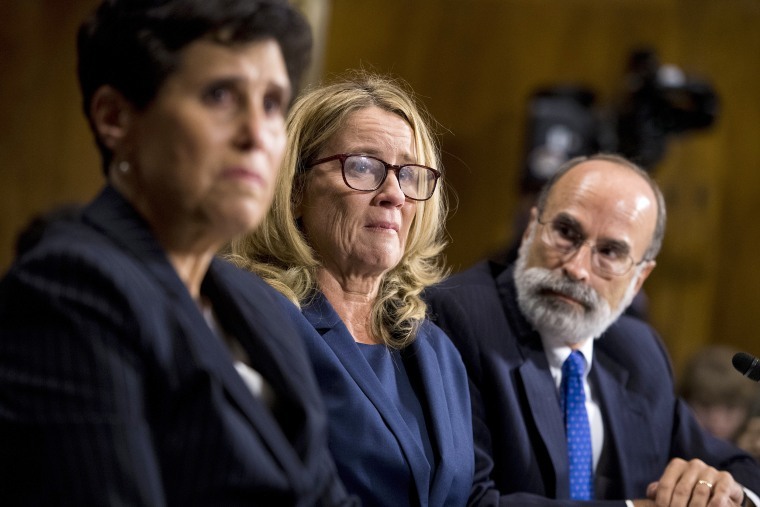 Legal and law enforcement experts say there is much to be learned from interviewing a witness in a private setting by professional investigators who have had the opportunity to ask other witnesses about the allegations. Rachel Mitchell, the prosecutor hired by Senate Republicans to question Ford in front of the committee last week, told Ford that the format for interviewing her in "five-minute increments" was not the best way to interview her. "Did you know that the best way to do it is to have a trained interviewer talk to you one-on-one in a private setting and to let you do the talking, just let you do a narrative?" Mitchell said to Ford during her testimony. Critics, including Senate Democrats, have accused the White House of hampering the FBI's probe of the sexual assault allegation and additional sexual misconduct allegations against Kavanaugh in order to push through his confirmation. "If the FBI is permitted to do a thorough, serious, and professional investigation — as it is certainly capable of doing — and if agents discover additional facts as a result of that investigation, those facts could help confirm or refute statements made by Dr. Ford or Judge Kavanaugh," said Chuck Rosenberg, former FBI legal counsel and an NBC News analyst. "Those facts would also be helpful if either is interviewed by the FBI, because additional information can help refresh memories or demonstrate inconsistencies. The more facts, the better, because more facts move you closer to the truth." Late Tuesday, an attorney for Tim Gaudette, a high school friend of Kavanaugh’s, confirmed that his client was interviewed by the FBI, as first reported by the Washington Post. “I can confirm that Mr. Gaudette interviewed with special agents today, however, we are going to respectfully decline to elaborate on the interview,” attorney Ken Eichner said in a statement to NBC News. Gaudette was a classmate of Kavanaugh’s at Georgetown Prep who became the subject of interest after his name was listed on Kavanaugh’s calendar from that time as hosting a gathering that included Kavanaugh, Mark Judge and other friends for “skis,” or beers, on July 1, 1982, around the time when Ford alleges she was assaulted by Kavanaugh.